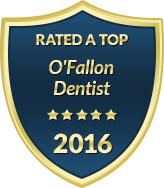 When it comes to finding a dentist for your family in O'Fallon, we know your options are expansive. At Riverheart Family Dentistry, we set ourselves a part with our ability to provide the most advanced dentistry available, with the comfort and convenience your family deserves. We welcome new patients who want a gentle dentist they can trust with all aspects of their smile. Dr. Travis Schwarz is experienced and highly qualified in general, restorative and cosmetic dentistry. At Riverheart Family Dentistry, we have a friendly staff and warm office environment that makes patients of all ages feel at home. As a new patient, we realize that you may have specific questions about our practice, including our financial policies, scheduling options and what to expect during your first visit. For easy access, most of your questions can be answered here on our website. Please explore the following links and let us know if you have further questions about our practice, our dentist or the services that we offer. When it comes to dental care at Riverheart Family Dentistry, your comfort and convenience are highly valued. We know your time is limited; therefore, new patients can access many of our forms and new patient discount opportunities online. It is our hope that we can streamline your visit as much as possible so that Dr. Schwarz has the time to get to know you and your smile needs as best as possible. When it comes to addresses your dental concerns, we use a patient-centered, gentle and non-judgmental approach at all times. For a relaxing dental office that can help your entire family smile better and smile longer, please give us a call. We are thrilled to welcome new patients in O'Fallon and the surrounding areas.